​This year, the world celebrates the fifth anniversary of the pivotal Paris Open Educational Resources (OER) Declaration which had put forward ten key recommendations for governments in driving the OER agenda. On the eve of the 2nd World OER Congress, it is paramount that the current state of play is understood in relation to the implementation of these recommendations. COL, in partnership with UNESCO and the Government of Slovenia, and with the generous support of The William and Flora Hewlett Foundation, engaged top level policymakers and stakeholders from 111 countries through six Regional Consultations to (i) identify the current status of these recommendations; (ii) initiate discussions regarding challenges to mainstreaming OER; and (iii) encourage more governments to commit to the adoption of open licensing policies for educational materials developed with public funds. In addition, two global surveys provided an overarching view of the movement through the eyes of 102 governments and over 600 stakeholders. Drawing from these consultations, COL has identified a set of concrete actions tailored to mainstream OER to a wide range of stakeholders and prepared a comprehensive report which provides a detailed map of the OER landscape post the 2012 Paris OER Declaration and a critical retrospect in driving the global agenda forward. Concluding this global project, the Steering Committee, chaired by COL’s President and CEO Professor Asha Kanwar, met in Ljubljana, Slovenia on 21 August 2017 where it was agreed that the documents would be made public during the upcoming 2nd World OER Congress scheduled for 18-20 September 2017 in Ljubljana and would make a significant contribution towards driving OER from commitment to action. The Honorable Dr Maja Makovec Brencic, Minister for Education, Science and Sports, Slovenia graced the occasion along with Ms. Marjutka Hafner, Secretary General, Slovenia National Commission for UNESCO. The Minister thanked COL, UNESCO and the Hewlett Foundation for the successful completion of the Regional Consultations and assured that the Government of Slovenia will play a leading role in strengthening OER on a global scale. Detailed information on the OER Regional Consultations including background documents, consultation reports and survey findings can be found at the COL RCOER Website. The regional consultation for the Pacific on Open Educational Resources (OER) was held in Auckland from 29 to 30 May 2017. It was the final consultation in a series of six regional consultations on the role of OER in ensuring inclusive and equitable quality education, held between December 2016 and May 2017. 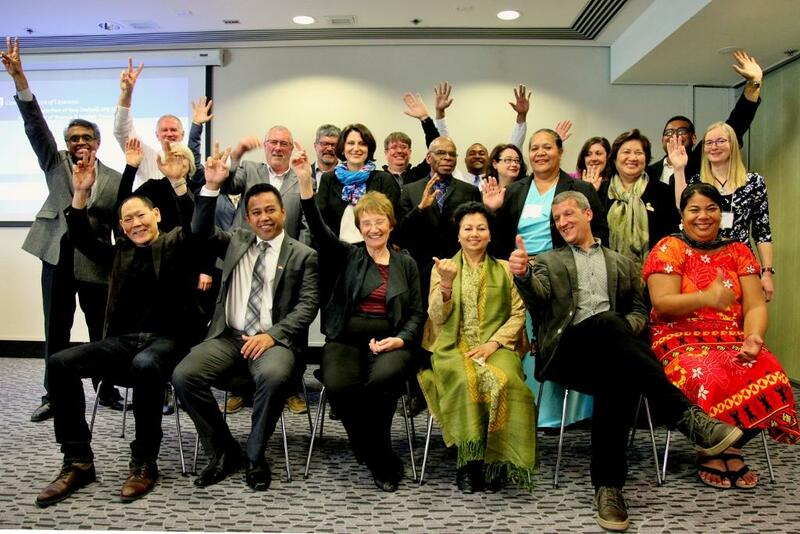 Senior officials, professors and civil society representatives from New Zealand, Australia, Fiji, Samoa, Tonga, Papua New Guinea, Kiribati and Slovenia, as well as officials from UNESCO and the Pacific Island Forum Secretariat, participated. The Honourable Mr David Collins, Kiribati Minister of Education took an active part in the consultation, which called for a people’s movement in OER in the Pacific. Language diversity, culture, indigenous community knowledge and climate change vis-à-vis OER were some of the issues discussed. The consultation emphasised that OER can be economical and efficient, lead to effective learning outcomes, and help in addressing Sustainable Development Goal 4. The regional consultations are being organised by COL, in partnership with UNESCO and the Government of Slovenia with the generous support of the Hewlett Foundation, in the lead up to the 2nd World OER Congress. The 2nd World OER Congress is scheduled to be held in Ljubljana, Slovenia, 18–20 September 2017. The Pacific regional consultation was generously co-hosted ​by the Open Polytechnic of New Zealand. For more information on the regional consultations on OER and/or to contribute to the survey, visit rcoer.col.org. Reports on previous regional consultations are made available as finalised. The Report on the Latin America and Caribbean Regional Consultation on Open Educational Resources highlights “a renewed commitment by the participants to develop policies around Open Educational Resources with the help of COL and UNESCO”. The consultation welcomed 60 participants from 18 countries, who discussed national OER practices, open licenses and policy, and strategies for mainstreaming OER. It was held in São Paulo, Brazil, from 3-4 April 2017, and was organised by COL in collaboration with University of Campinas, Brazil, UNESCO and Government of Slovenia, with the generous support of The William and Flora Hewlett Foundation. It is one of six regional consultations being held under the theme “OER for equitable and quality education: from commitment to action,” in the lead up to the 2nd World OER Congress in Ljubljana on 18-20 September 2017. Outcomes of the consultation will help form a synthesis report of the agenda for action recommended for the different categories of stakeholders in the six global regions. The Report on the Latin America and Caribbean Regional Consultation on Open Educational Resources was compiled by Mr Werner Westermann, Jefe Programa de Formación Cívica en Biblioteca del Congreso Nacional. Read the report at http://rcoer.col.org/latin-america-and-caribbean.html. 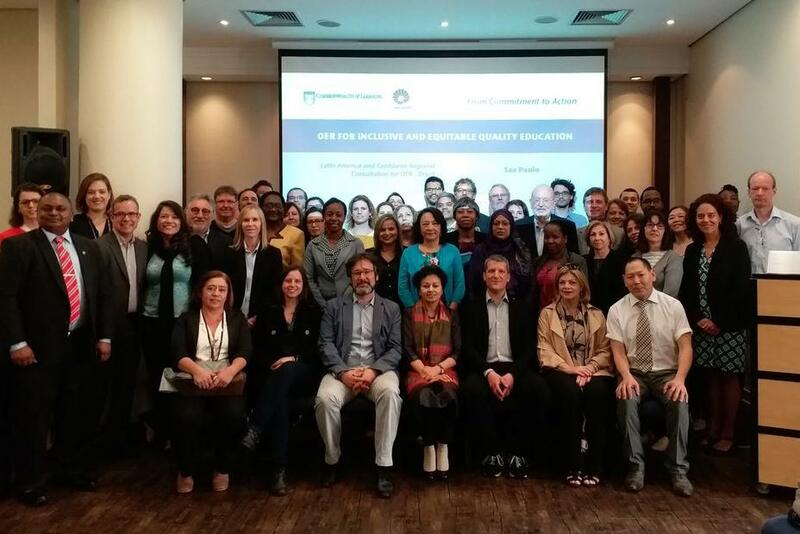 More than 60 participants from 18 countries gathered for the Open Educational Resources (OER) Regional Consultation for Latin America and the Caribbean in São Paulo, Brazil, from 3 to 4 April 2017 to discuss the role of OER in ensuring inclusive and equitable quality education, as part of a series of six regional consultations being held between December 2016 and May 2017. The regional consultations are being organised by COL, in partnership with UNESCO and the Government of Slovenia with the generous support of the Hewlett Foundation, in the lead up to the 2nd World OER Congress. The 2nd World OER Congress is scheduled to be held in Ljubljana, Slovenia, 18–20 September 2017. 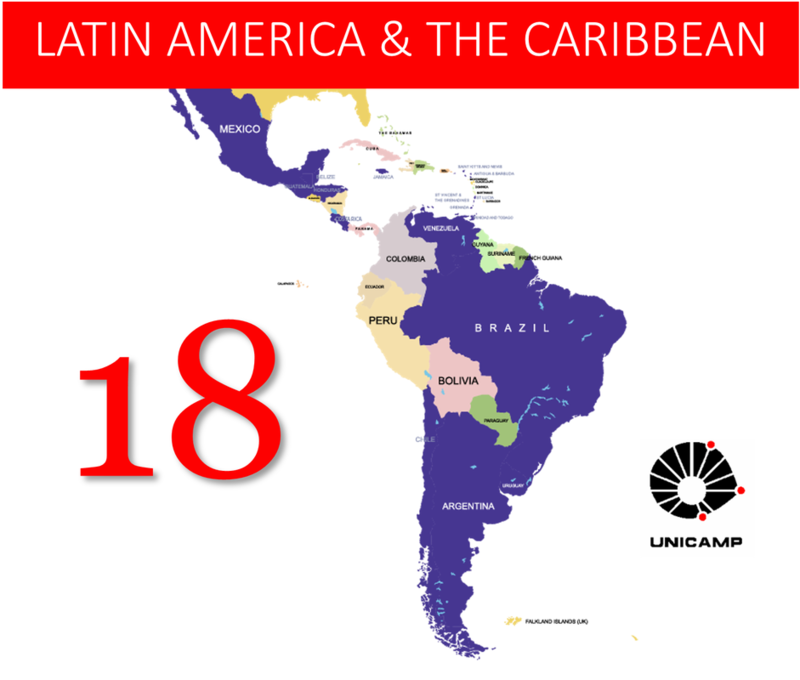 The Latin America and Caribbean Regional Consultation was generously co-hosted ​by University of Campinas. The transcript of the opening remarks by COL President and CEO Professor Asha Kanwar and her presentation "OER for Inclusive and Equitable Quality Education: From Commitment to Action" are available on OAsis. 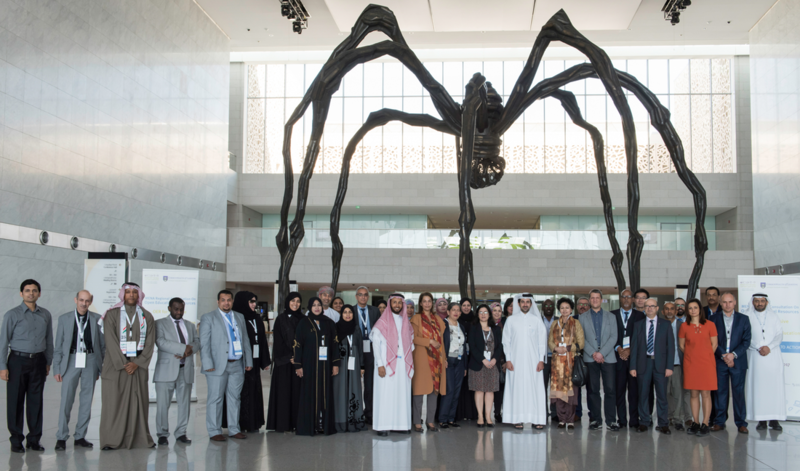 The Open Educational Resources (OER) Regional Consultation for the Middle East and North Africa brought 42 participants from 12 countries together in Doha, Qatar, from 27 to 28 February to discuss the role of OER in ensuring inclusive and equitable quality education, as part of a series of six regional consultations being held between December 2016 and May 2017. The regional consultations are being organised by COL, in partnership with UNESCO and the Government of Slovenia with the generous support of the Hewlett Foundation, in the lead up to the 2nd World OER Congress. The 2nd World OER Congress is scheduled to be held in Ljubljana, Slovenia, 18–20 September 2017. The Middle East and North Africa Regional Consultation was generously co-hosted by Reach Out to Asia, a member of the Qatar Foundation for Education, Science and Community Development. For more information on the OER Regional Consultations and/or to contribute to the survey, visit rcoer.col.org. Reports on regional consultations will be made available as finalised. 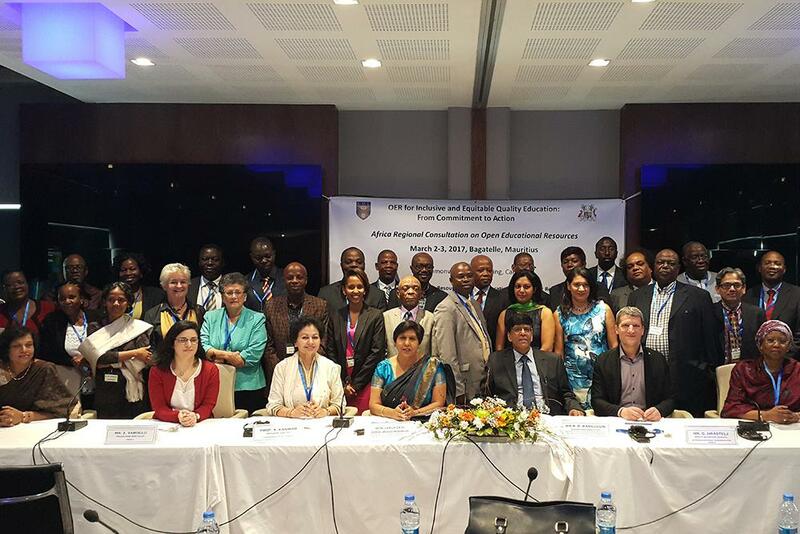 Forty participants from 23 countries gathered for the Open Educational Resources (OER) Regional Consultation for Africa in Port Louis, Mauritius, from 2 to 3 March 2017 to discuss the role of OER in ensuring inclusive and equitable quality education, as part of a series of six regional consultations being held between December 2016 and May 2017. The regional consultations are being organised by COL, in partnership with UNESCO and the Government of Slovenia with the generous support of the Hewlett Foundation, in the lead up to the 2nd World OER Congress. The 2nd World OER Congress is scheduled to be held in Ljubljana, Slovenia, 18–20 September 2017. The Africa Regional Consultation was generously co-hosted by ​the Ministry of Education and Human Resources, Tertiary Education and Scientific Research, Mauritius. More than 70 participants from 25 countries gathered in Malta from 23 to 24 February to discuss the role of open educational resources (OER) in ensuring inclusive and equitable quality education, as part of a series of six regional consultations being held between December 2016 and May 2017. 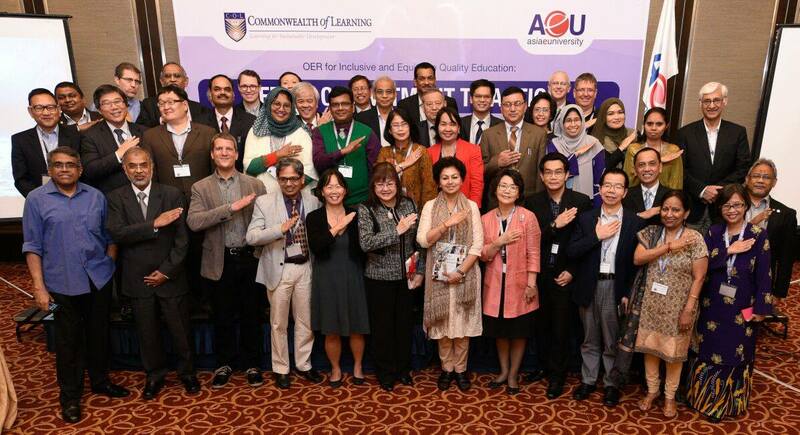 Over the course of two days, representatives, including ministers, senior officials, policy makers and experts, reflected on the progress of OER since the World OER Congress in 2012, identified strategies for mainstreaming OER, and agreed on action points for the 2nd World OER Congress. Innovative and promising practices in OER policies and initiatives in the region were also showcased. The regional consultations are being organised by COL, in partnership with UNESCO and the Government of Slovenia with the generous support of the Hewlett Foundation, in the lead up to the 2nd World OER Congress. The 2nd World OER Congress is scheduled to be held in Ljubljana, Slovenia, 18–20 September 2017. The first consultation was held in Kuala Lumpur in December 2016 for the Asia region. 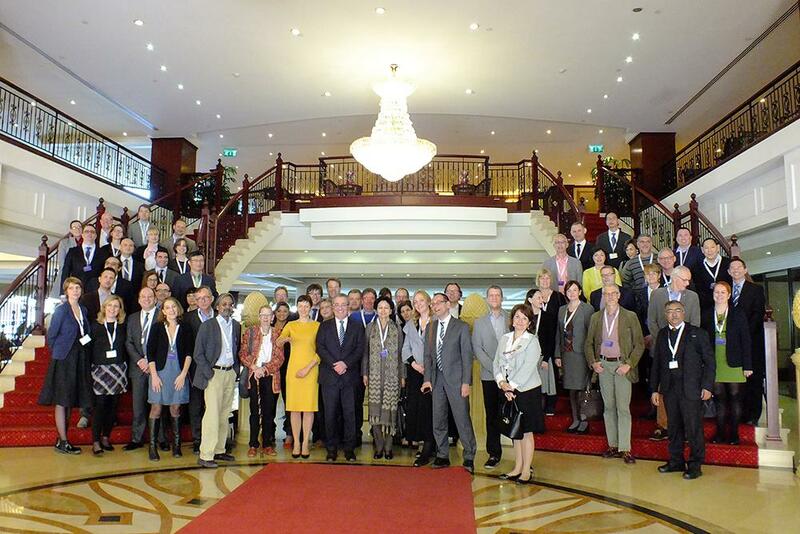 The Europe Regional Consultationwas generously co-hosted by the Minister of Education and Employment in Malta. Regional consultations for the Middle East and North Africa, Africa, Americas and Pacific regions are scheduled for the coming months. For more information on the OER Regional Consultations and/or to contribute to the survey, visit rcoer.col.org. Reports on regional consultations will be made available once finalised. The Commonwealth of Learning (COL) is conducting six Regional Consultations around the world in the lead up to the 2nd World Open Educational Resources (OER) Congress, scheduled to be held in Ljubljana, Slovenia, from 18 to 20 September 2017. The consultations are being held in partnership with UNESCO, Slovenian National Commission for UNESCO and UNESCO Chair on Open Technologies for OER and Open Learning (Jožef Stefan Institute, Slovenia), and with the generous support of The William and Flora Hewlett Foundation. The Regional Consultations will be held between December 2016 and May 2017 and follow a central theme of “OER for Inclusive and Equitable Quality Education: From Commitment to Action”, reflecting a strong focus on the role of OER in achieving Sustainable Development Goal 4 (SDG4). They will aim to explore strategies and solutions to the challenge of mainstreaming OER. Each Regional Consultation will be organised in partnership with a ministry or other agency in the respective host countries and will include expert-facilitated workshops, pre-meeting activities and discussions. Ministers of Education, senior policy makers, expert practitioners, researchers and other institutional stakeholders will be invited to participate in the events. The first World OER Congress was held in 2012 and organised by COL and UNESCO, with the support of The William and Flora Hewlett Foundation. It attracted over 400 participants from 70 countries and resulted in the adoption of the Paris OER Declaration, which encourages governments to openly license educational materials that are publicly funded.